Luke 2.1 And it came to pass in those days that a decree went out from Caesar Augustus that all the world should be registered. But in the Luke passage, it is the marking of time when the Christ child was making His advent on Earth. Our King was about to be birthed to Mary in Bethlehem, Joseph’s hometown as they traveled there to be counted in the census. Jesus Christ came, not to pass, but to live among us – to walk with us, to work with us, to eat with us, to fellowship with us, to save us. God, in earth clothes…dwelt among us. Let’s ask the ancients from the Bible who that sleeping baby is. Moses calls him I AM and The Rock. Solomon, in all his poetic brilliance, calls him the Rose of Sharon. Isaiah, the great Prophet, names him Wonderful Counselor, his Refuge, The Stone, ah…The Prince of Peace and the Holy One of Israel. Haggai, a prophet, called him Desire of Nations. Malachi called him the Purifier, the Refiner, the Sun of Righteousness. Then, the world went silent and for 450 years not another word was written about the Coming One. Matthew called him Emmanuel and Master. Dr. Luke names him Dayspring. John? The Way, The Truth, The Life. Paul names him Mediator, Potentate, Passover Lamb, Priest, Seed of David. Peter, tough guy Peter, lovingly calls him the Day Star, and, Shepherd. John, the Revelator, names him Root of David, the Alpha and the Omega, The Lion of the Tribe of Judah. 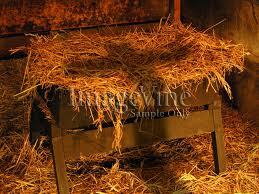 Now, let’s get up close and personal and see Who, exactly, not only laid in the straw, but also hung on The Cross. 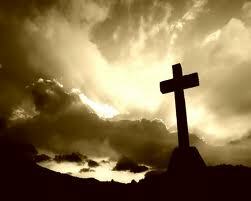 The Lord Jesus Christ, regardless of man’s titles, is God’s Son. No longer wrapped in blankets, He is the Lord of lords, He is The Gift of Christmas. And, if YOU have received him in your heart & life, then YOU become the gift for others. This Christmas season, may all of us, who know Him become the gift to someone else. Share Him. Be generous with Him. 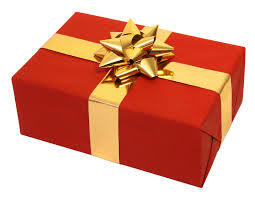 Give Him away so others too can experience His grace and can become a recipient of JESUS, The Perfect Gift! Wow! this give me God-Bumps. My Spirit is jumping inside. Love this one! This is the best I’ve read about HIM, Savior of our souls, this Christmas season. Thank you. Well done, as always. What a beautiful reminder. Thank you. As we start our trek to the NC mountains I finally have a moment to pause and read this inspirational blog. It is wonderful, thought- provoking and heart warming! Looking forward to the quiet spaces between the bustling activities of cutting down a tree, decorating, and welcoming some family visits of children and grandchildren. Looking forward to seeing our mountain friends, and maybe some snow- a treat when you are coming from south Florida! Wishing you all wonderful holy days. God Bless us one and all. HM, Kitty, Diane, Ali – always appreciate your comments and encouragement. Merry Christmas to a very special lady and her family! Blessings and best wishes for 2014. Kristen, the same to you and yours! I think sometimes we like to keep Jesus a baby and forget how powerful he was, even in that tiny package. Great reminder! A Lamb at His first earth appearing – a Lion at the next!